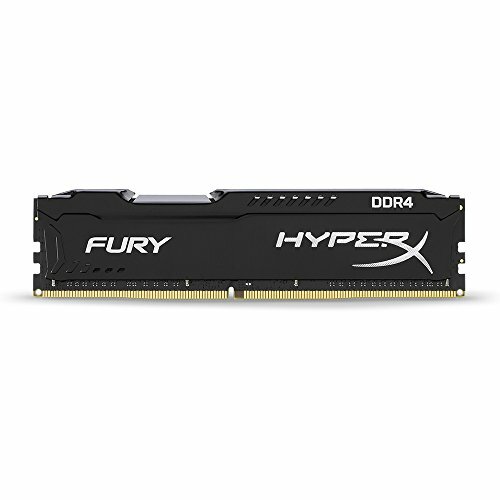 HyperX FURY DDR4 automatically recognizes the platform it's plugged into and automatically overclocks to the highest frequency published, up to 2666MHz, for hassle-free, plug-and-play functionality. It delivers automatic top-level performance for motherboards featuring Intel's 200 series and X99 chipsets and complements Intel's 2, 4, 6, 8 and 10-core processors for faster video editing, 3D rendering, gaming and AI processing. Available in speeds from 2133MHz-2666MHz, CL14-16 latencies and capacities of 4GB, 8GB and 16GB single modules and 8GB-64GB kits.